Largely through the work of Michael D. Coe — renowned among historians as a great maven for pre-Columbian civilizations, particularly the Maya — we now know considerably more about the Olmec civilization. The worldview of the Olmec civilization was that of a multi-layered world inhabited by a pantheon of deities. A world tree (axis mundi) perforated and stabilized the constituent layers of sky (upper world), earth, and underworld, but also provided a highway to traverse them. from the original cobble of which it was carved. In order to travel between the realms to effect change, cure disease, etc., a shaman had to undergo a spirit journey in a transmuted state aided by animal helpers. Sculptures show human shamans in varied states of transforming into animals for such passages. An enigmatic, crouching Olmec figure, carved of hard greenstone, may be part of the myriad representations that relate to the shamanic journey. This figure seems to combine human and animals traits. Yes, he is seated in an anthropomorphic crouch with arms wrapped around — the right around the lower jaw and the left around the knee and the hands have five fingers. But the feet are claw-like and the face is somewhat simian with a broad, flat nose. A half scallop, incised at the bridge, furrows the flesh and hints at “otherness”. The almond-shaped eyes, which may have originally held inlays of contrasting material, are set within puffy mounds of flesh. In addition to the hybrid nature of the being depicted, the incised human footprints, circumscribing the eye sockets (and now filled in with red pigment for legibility) may refer to the shamanic journey. It has been suggested that the implied equivalency between vision and footprints (journey) indicates the acquisition of spiritual knowledge. That the mouth is covered, i.e., metaphorically sealed, one may infer that such knowledge will remain secret. Michael D. Coe, et al., The Olmec World: Ritual and Rulership (The Art Museum, Princeton University) Princeton, New Jersey (1995) p. 187, no. 67. The latest updates on Ed Merrin. Highlights of the Edward Merrin Blog over the past several months include a look at Edward's beginnings as an art dealer starting out in New York, as well as his breakthrough and success. The story doesn't end in the '90s, with retirement from the antiquities business, but continues until today — through Ed Merrin's financial support of research and aid programs at Tufts University and New York University's medical branch. This is, in fact, preceded by an active life of giving — since very early on. Explores the philanthropist's motivation and history in supporting financial aid programs at the university. Includes further reading from sources at Tufts University and media outlets. Also, read on the financial significance of Edward Merrin's gift to Tufts. Details Edward Merrin's endowment to support the Chair of Medicine at NYU's Langone Medical Center, as well as his previous support of the medical institution. The full take (or a brief look) on Edward Merrin's antiquities career — starting with his accidental introduction, to his prolonged success as a world-class art dealer. As updated on LinkedIn, Mr. Merrin has been actively involved with various NGOs and non-profit organizations since very early on in his life. A while back, Edward Merrin presented the University of Missouri's own Museum of Art & Archeology with an African art of the 1900s. While not particularly ancient, it was among an exhibition of African art at the university's museum, which presented quite a few objects of African art. 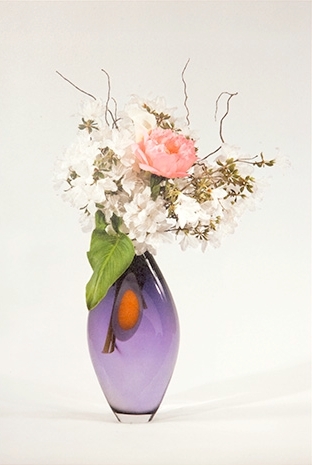 Art to us, that is, as these objects (e.g. masks, figurines, headwear) were used in everyday life. Or in the case of Edward Merrin's gift to the institution, they were most often used as funerary figurines. 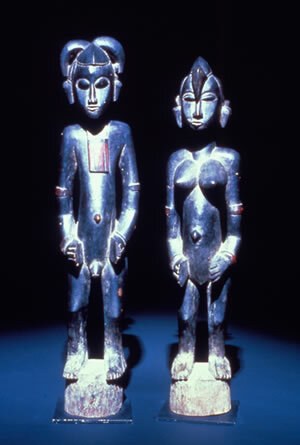 The pair of figures, known as the "Children of Poro", originate with the Senufo people — in this case, the modern-day Côte d'Ivoire. A secret society of people, the Poro used deble like these in various funerary ceremonies, and simply placed them alongside the deceased. In fact, this particular pair is special, and rare, known as pombibele, it depicts the perfect unison of model citizens — who follow tradition and pay homage to the dead. The pombibele were used to strike the ground at the funerals of their elders — hence the figurines are also called 'pounders'. Similar to the traditions of ancient Egypt, this was done to lubricate the passage of one's spirit into the afterlife, known as the "village of the dead". Although such 'pounding' also provided an accompaniment for the ritual African music and dancers.